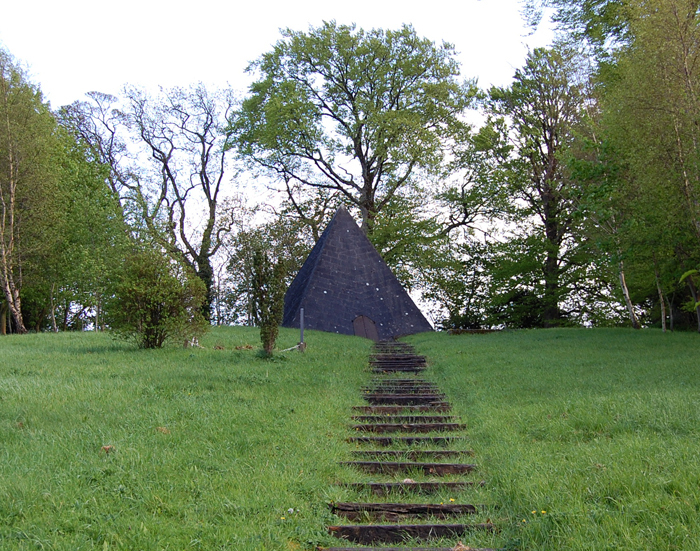 In 1830 the Bernard family in Kinnitty decided to build a pyramid as a mausoleum for their family. It was completed in 1834 and is thirty feet high. Six family members were interred there, the last in 1905. The first to be buried there died when she was just 24 years old, following a bite from a rabid dog.